Experience the diverse wildlife and beautiful landscapes of Kenya while staying in high-end camps. From the private Solio Game Reserve in the centre, to Samburu Reserve in the north, to the world famous Masai Mara in the southwest. All of your camps offer contemporary rooms and modern facilities, with most rooms boasting private plunge pools. End your safari amongst the cheeky residents of Giraffe Manor. Arriving at Jomo Kenyatta International Airport, head to Wilson Airport for your flight to Nanyuki. 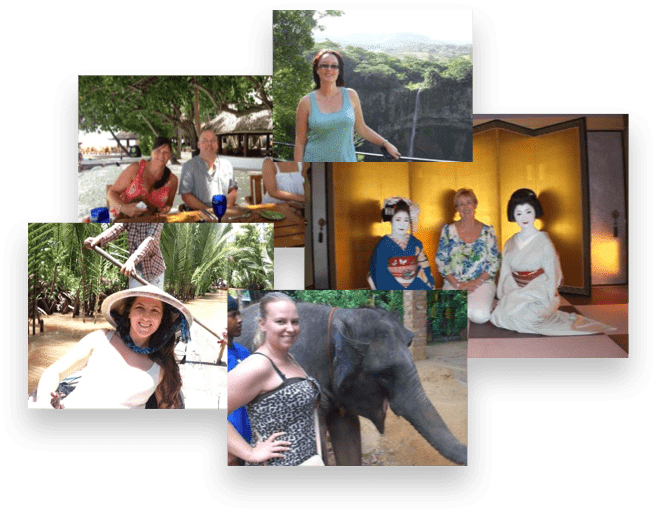 Representatives will be ready and waiting to transfer you to Solio Lodge. Your lodge sits in the private Solio Game Reserve, tucked between the slopes of Mount Kenya and the Peaks of the Aberdare Mountains. Throughout your stay, take guided walks and drives on the lookout for rhinos – as one of the finest rhino breeding reserves, they’re not hard to miss. There’s also horse riding, trout fishing and visits to a coffee plantation. Back at the lodge, relax with in-room treatments from the massage therapists. 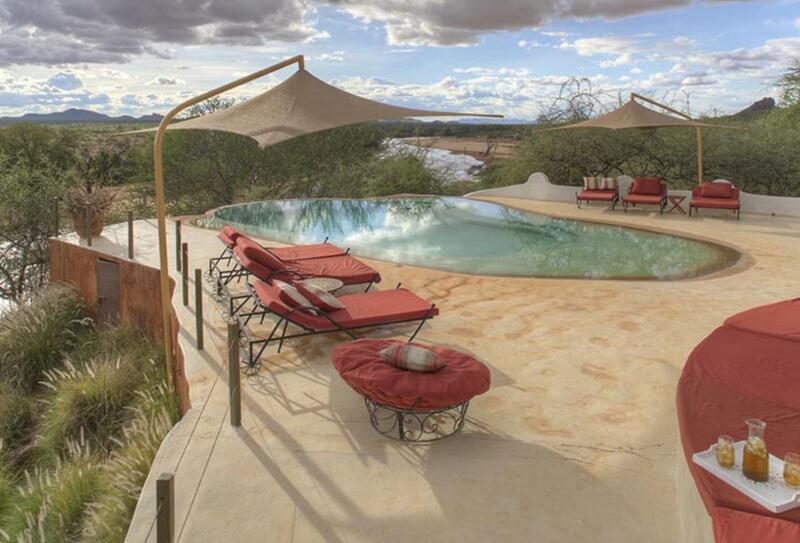 A private charter flight will take you to Sasaab Lodge in Kenya’s northern district. Close to Samburu National Reserve, keep your eye out for the ‘Samburu special five’ of Beisa oryx, reticulated giraffe, Grevy’s zebra, Gerenuk antelope and Somali ostrich. After game drives, walks and camel rides, retire to your Moroccan-style cottage with its four-poster bed, large open-air bathroom and private plunge pool. Head southwest to the world famous Masai Mara. Set close to the confluence of two rivers, Sala’s Camp is one of the first to see the annual wildebeest migration from July to September. The nature of the reserve means excellent game viewing year-round. Private plunge pools are another feature of this camp, as are sundowners by the campfire and dinner served under the stars. Following breakfast, fly back to Nairobi for a one-night stay at Giraffe Manor. This unique hotel is home to some friendly residents. Giraffes roam the grounds freely, peeping their heads through windows in hope for a nibble of your tasty lunch. Transfer back to Jomo Kenyatta International Airport for your flight back home or extend your journey to a beach destination. Sasaab is in Kenya’s Northern Frontier District, close to the Buffalo Springs and Samburu National Reserves. It features nine Moroccan-style rooms covering over 100sqm with their own open-air bathroom and private plunge pool. Each opens out to a veranda with views towards Mount Kenya. A main swimming pool is set on the hillside overlooking the river. 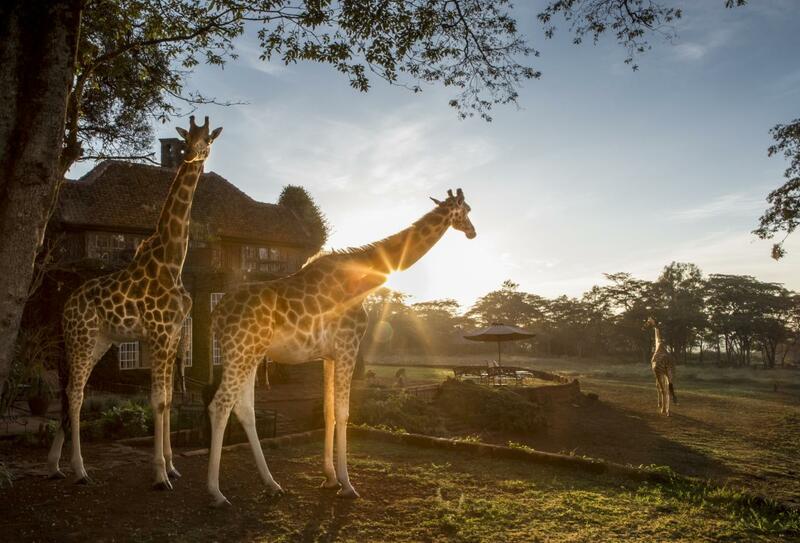 The Giraffe Manor is a firm favourite for those visiting Nairobi, offering the chance to feed and photograph these beautiful creatures over the breakfast table or even at the front door. These tame animals form part of the fabric of the hotel gracing the lawns and a trip here is a great way to get up close and personal with them. 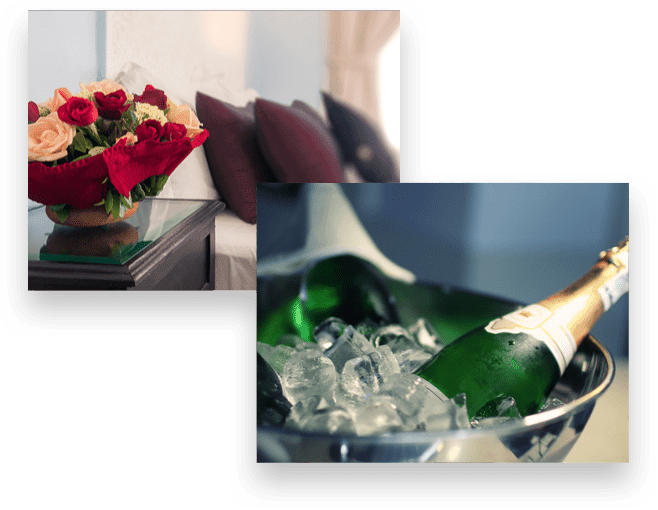 The manor is an elegant place to stay with fine home cooking and tastefully presented bedrooms. 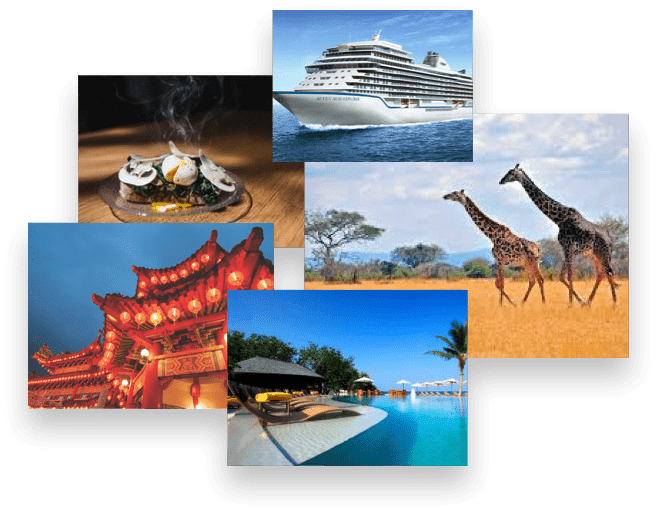 Rates at the hotel include all meals (on full board basis, breakfast and evening meal included on half board) and wine with lunch and dinner as well as entrance to the giraffe centre and a sightseeing vehicle during your stay.